Here’s Our New Record! | frank in Brooklyn, owned by Scott Porter and longtime FRANK family Joe Rogers and Adam Lasus, and was mastered by our good friend Joe Lambert. The record was produced by FRANK and Joe Rogers. We’re throwing a big party to celebrate the release of MaOBH with our good friends in Big Shifter and Evil Jake. Please RSVP on facebook by clicking here. 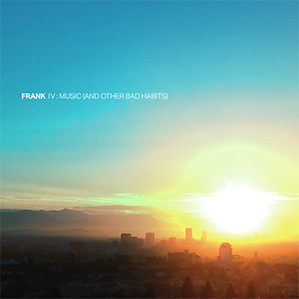 This entry was posted in New Music, Random, Stuff Scott likes and tagged Big Shifter, Evil Jake, fontana's, frank IV: music and other bad habits, Joe Lambert, MaOBH, music and other bad habits, new record, Room 17 by scott. Bookmark the permalink.